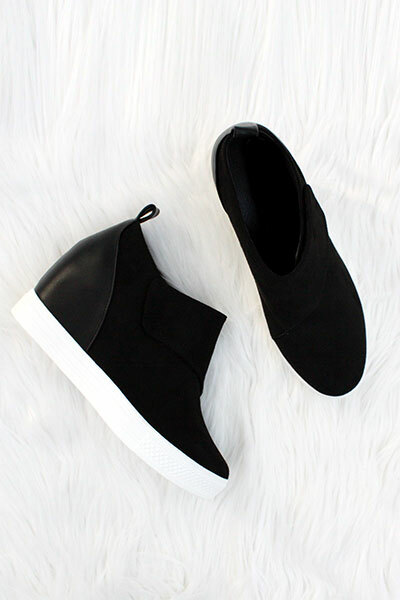 Wedge sneakers. 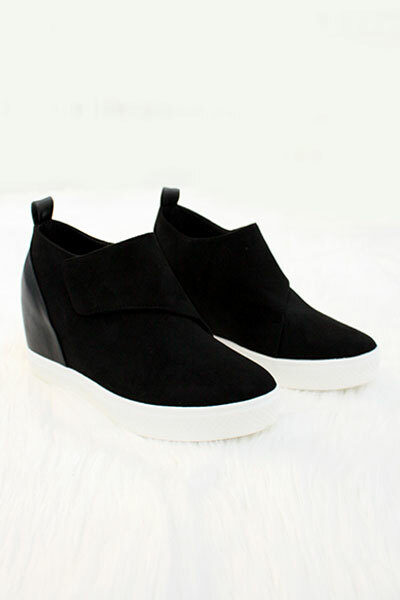 Hidden wedge heel gives you extra height and lots of comfort. Diagonal velcro closure across the top. 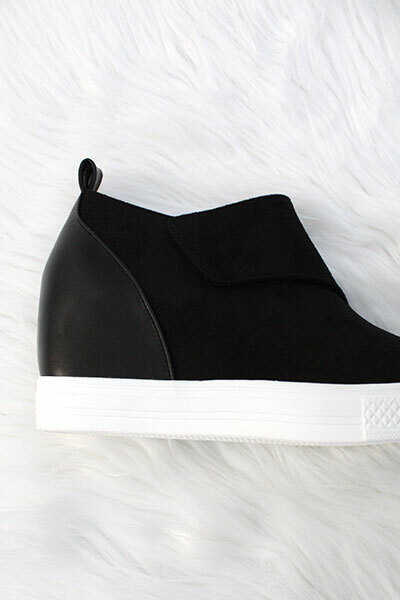 Contrasting white sole for a sporty look. 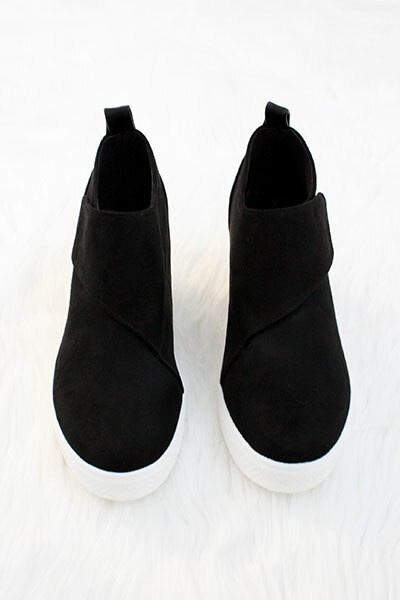 High quality faux suede material with faux leather fabric at the heel. 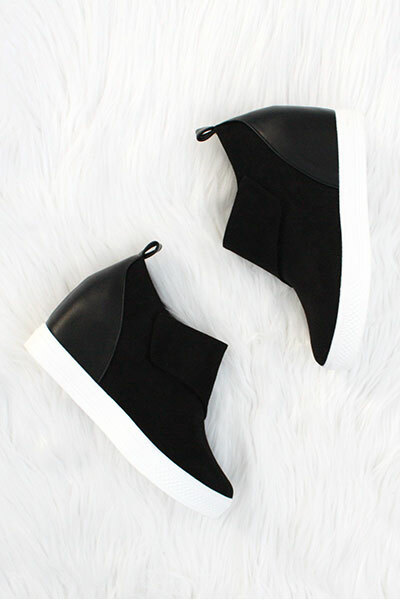 Grab these popular on-trend sneakers while you can! 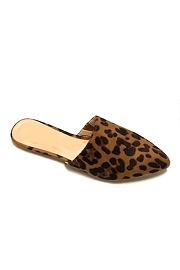 These shoes are so amazing!!! Fit true to size and so comfortable!!! This team at this store is truly amazing and customer service is 5-star!!! Quick response and quick shipping which is fantastic in my book!!! Have already placed another order for other items and cannot wait to get it in!!! I'm so happy with my purchase I bought them for my daughter they're amazing and comfortable. I'm also very pleased with outstanding customer service.Thank so much! ?